According to California Asian & Pacific Islander (API) Legislative Caucus, about 16% of the state’s population is comprised of Asian and Pacific Islander Americans (APIA), who are among the fastest growing racial and ethnic groups in the state. California is home to about one-third of the nation’s APIA population. Pacific Islander Americans make up approx. 0.5% of the U.S. population, including those with partial Pacific Islander ancestry. The largest ethnic subgroups of Pacific Islander Americans are Native Hawaiians, Samoans, Chamorros, Fijians, Marshallese and Tongans, whose largest U.S. communities are in Hawaii (358,000) and California (330,000). Polynesians may have visited California around 700 AD, according to an archaeologist and anthropology professor at the California Polytechnic State University, who claims the Chumash learned to make sewn-plank boats from them. Over 700 years ago another exchange from Hawaii introduced advanced fishing techniques centuries before the Spaniards arrived by ship. Aloha to “island time” in California where people of all cultures can experience the best of Polynesia at colorful festivals and events throughout the state! 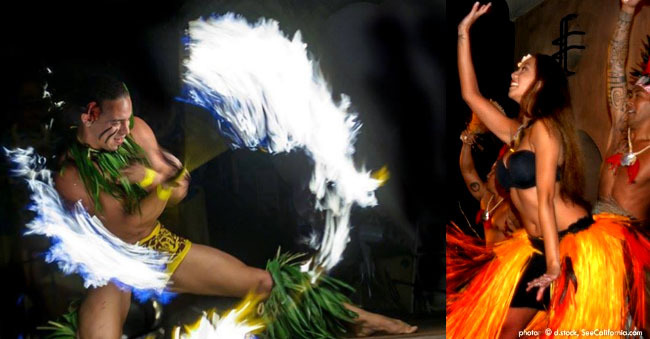 See California Polynesian Festivals & Events!